The North Little Rock Supervisors Association has received information that on Tuesday, December 23rd beginning at 11:00 am Santa Claus and several of his helpers dressed in Elf outfits will be at JFK and C Street just North of the Metropolitan Bank. Santa and his helpers will be handing out candy canes, hot cocoa and cookies. Please let your friends and family know of this information. We are unsure at this time exactly how long he will get to stay, but it may be for several hours. We all know how busy he is right now! We will also examine any car seats and have some on site for those who do not have one. For more information, contact Captain Mike Davis at 771-7109. WE'LL HAVE OUR CAMERAS THERE, BUT BRING YOUR OWN IF YOU'D LIKE. BRING THE KID'S FOR AN EVENING OF FUN. FOR MORE INFO CALL (501)753-0081.
impact of recent weather and holiday activities. others who need blood every day. less than an hour of your time. family to make a donation and help save lives. need. It is a gift you know will be appreciated. another holiday season with loved ones. participating can email rsteves@comcast.net for more information. Argenta 3rd Friday ArtWalk Moves Indoors! Please remember there will not be a December meeting for the Lakewood Neighborhood Group. There are exciting changes coming up and possibly a new meeting night. vans, $20 for buses. Call 501-791-8543 for info. Circus at Alltel Arena. 501-975-7575. “Peace on Earth” beginning at 2 pm. 501-758-0737. Rock High School East Campus Auditorium. December 24, 25 and 26: City Offices closed. Dance Troupe and Theater Dance I-IV Classes. There will be two NLRPD Shop with a Cop dates this year. This is the 3rd annual Shopwith a Cop. The dates will be Sunday, December 7th & 14th. A total of 50 pre-selected children will be shopping this year, 25 on each Sunday. Each child will receive a Walmart gift card valued at $150.00. Immaculate Conception Catholic Schools Student Government ( 7th & 8th graders ) and also St. Lukes Missionary Baptist Church have already committed to volunteer their time for the Shop with a Cop event. There have been many donations already, including $5,000.00 from Walmart. Funds are still needed. Anyone wishing to donate can stop by any Twin City Bank branch to make a deposit to the Shop with a Cop account. Additional gift wrappers are still needed. Thanks for the comment from "Mason" this is the correct mailing address for holiday mail. Click on the title to go to the link for more information. Do not send mail to Walter Reed, it will not be deliverd. From the front lines to the home front, the American Red Cross provides service members, their families and veterans with the care and assistance they need. The Red Cross is partnering with Pitney Bowes this holiday season for the Holiday Mail for Heroes campaign. For the second year in a row, we’re collecting holiday cards to distribute to American service members, veterans and their families in the United States and around the world. Pitney Bowes is generously donating technology, resources and postage to make this holiday card program possible. Our goal is to collect and distribute one million holiday cards to spread holiday cheer and facilitate thanks to these brave individuals and families. * All cards must be postmarked no later than Wednesday, December 10, 2008. Cards sent after this date will be returned to sender. * Participants are encouraged to limit the number of cards they submit to 25 from any one person or 50 from any one class or group. If you are mailing a larger quantity, please bundle the cards and place them in large mailing envelopes. Each card does not need its own envelope or postage. * Please ensure that all cards are signed. * Please use generic salutations such as “Dear Service Member.” Cards addressed to specific individuals can not be delivered through this program. * Please send cards as opposed to long letters which delay a quick review process. * Please do not include email or home addresses on the cards, as the program is not meant to foster pen pal relationships. * Please do not include inserts of any kind, including photos, as these items will be removed during the reviewing process. * All cards received may be used in program publicity efforts, including appearing in broadcast, print or online mediums. * Phone cards or gift cards will not be accepted with the holiday cards. Those wishing to send calling cards or gift cards/certificates should go to www.aafes.com, scroll down to "AAFES Community Connection" and click on "Help Our Troops Call Home" or "Gift Cards/Certificates for Our Troops" in order to send such items. * No 'Care Packages' will be accepted at this address. Those wishing to send care packages should go to www.AmericaSupportsYou.com and click under "Homefront Groups" to find out how to send care packages. Welcome to North Little Rock News. Click on title to go to the web site. It can also be found in the links to the right. “Start Something Project” needs your “pre-loved” prom/ball/bridesmaids/sweet sixteen/debutante/ quinceanera dresses, shoes, and handbags! * Outfits may be selected at a Mother& Daughter Prom Boutique event coordinated by the Butterfly Community Ministries of the First United Methodist Church, North Little Rock, Junior League of NLR, and the NLRMYC! * Donations are tax deductible! The leaf crews are currently working east of JFK, north of I 40, west of Warden Road, and south of Sherwood City Limits. The next area to work will be south of Sherwood City limits, west of JFK, north of I-40 and east of Camp Robinson Road. For additional information you may call the Public Works hotline 501-371-8355 and choose option #3. To enlarge picture, click on the map. Thank you to Paul Myrick for this information. Our neighbor, Herbert Goss, on Glenmere will be 100 years old on November the 17th. Please consider sending him a card. You can send them to me and I will forward them to him since I am not sure he would want his address on the internet. You can also read the article written about him in the Log Cabin Democrat by clicking on his name in the title to go to that link. This group has been serving for Lakewood for over 3 years and now needs new leadership. Please come to help us find the best way to continue informing your community of important news and safety information. Come out and hear what is happening in your neighborhood - meet your neighbors! The North Little Rock Friends of Animals Group is hosting a Chili Supper Fund Raiser from 5 – 7 p.m. tonight at the Park Hill Christian Church (4400 JFK). For more information call 501-791-8577 or show up with a little cash! There will also be a silent auction! Fun and food! What more could you ask for? Tomorrow night, members of the North Little Rock Woman’s Club will host their annual Fall Follies at the Patrick Henry Hays Senior Citizens Center. Doors open at 5:30 and dinner will be at 6:30 p.m. Tickets are only $25.00 This gets you some delicious Corky’s BBQ, homemade desserts and much more! There will also be a country store…it’s not too early to do a little Christmas shopping and help out the citizens of North Little Rock! Both of the above are non-profit organizations. 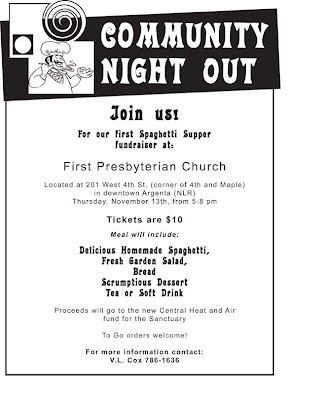 All proceeds will benefit our community. , Sheri and Harry Hamlin and Kelly Conley. The following are some projects that the nlr mayor's youth council are working on for november. if you would like to help, please share our spirit and join us in making our world a better place for everyone. 4. daley johnston is collecting personal care items - or caregiver kits - to answer the emergency plea from the arkansas children's hospital. these are kits in large ziplock bags that can be handed to parents/caregivers who come with their children unexpectedly to the hospital and have no hygiene items with them. these kits might include soap, a wash cloth, comb, deodorant, tooth past, tooth brush, razors, lotion. 2. the our house homeless shelter for the working homeless is requesting bedding for twin beds. their shelter is full and they are in very short supply on sheets and blankets for twin beds. do you have any gently used bedding that you can give? they also need standard size pillows, but would like the pillows to be new due to health concerns. (you can buy blankets and pillows very cheaply at wal mart.) please make sure the bedding is clean. ALSO, IF ANYONE HAS A WASHER OR DRYER TO DONATE THAT IS IN WORKING ORDER, THE SHELTER IS IN NEED OF BOTH. 80 PEOPLE ARE USING TWO SETS OF WASHERS AND DRYERS AND THEY WEAR OUT REALLY FAST. THEY WILL COME PICK UP AND GIVE YOU A TAX RECEIPT. if you have questions, call jan scholl at 834-3784. All clubs, organizations, schools, churches and businesses are encouraged to participate in the parade. An entry form may be obtained by calling the North Little Rock Chamber of Commerce at 501-372-5959 or by stopping by the North Little Rock Chamber of Commerce at 100 Main Street. All entries must have entertainment appeal by being in costume or decorated. The parade will begin at 2 p.m. at Pershing and Main and will continue down Main Street to Washington Avenue. There will be only one Santa Claus in the parade. The entry deadline is November 30. The North Little Rock Christmas Parade is sponsored by the North Little Rock Sertoma Club and the City of North Little Rock. For more information or a parade entry form, contact the North Little Rock Chamber of Commerce at 372-5959.
from 5:30 p.m. til 8:00 p.m. on October 30, 2008 (weather permitting) and take a ride on the Haunted Funland Express or the haunted carousel. We will also have games and activities for the kids. Concessions will be available. Bring your camera and come in your costume. Admission is $5 for unlimited train and carousel rides and games and activities. For more information, view the poster or contact Funland at 501-753-7307 or contact the Recration Programming Unit at 501-791-8545. The NLR Haunted Hospital is open for haunting again this year! The old Memorial Hospital in NLR is completely abandoned and HAUNTED!!!!!!!!! Each year it opens the doors to raise money for youth sports in North Little Rock. This year the money will go toward completing the 4,000 square foot North Heights Rec Center. Mark your calendars, Argenitals, for the social event of the neighborhood: The annual Argenta Neighborhood Boosters Block Party will be held on Sunday, Oct. 26, from 4 to 8 p.m. on the lot behind First Presbyterian Church! There are NO acceptible excuses for not attending. We will have food, live music, games, and lots of opportunities to meet and greet your neighbors -- both the ones you already know and the ones you don't know yet. Remember, we've had several folks buy houses and move into Argenta since last year's party, and we need to show them we know how to have a good time! Also, if you or your employer have something you'd like to contribute -- food, drinks, ice, door prizes, or what-not -- drop me an e-mail about that, too. Or if you just have questions, let me hear from you. To view the ballot for your area go to this web site and follow the directions. The League of Women Voters will be conducting their candidate question and answer session for North Little Rock mayoral and alderperson candidates next week. The session will not be open to the public; however it will be taped and rebroadcast several times on the Comcast community access channels. A representative from the North Little Rock business community, League of Women Voters and a representative from the North Little Rock neighborhoods will each be allowed to ask questions of the candidates from Ward 1, Ward 2 & Ward 3 as well as the mayoral candidates. I have been asked to participate as the representative of the neighborhoods. I believe there are many very intelligent and dedicated people in our neighborhoods and I am asking for your help in finding the right questions to ask of the candidates. Please e-mail me at segwalls@swbell.net with the question you would like asked in each of the three alderperson races and mayoral race. Please keep in mind, given the time restraints, I will probably only get to ask at most 2 or 3 questions of each alderperson candidate and maybe 4 or 5 of each mayoral candidate. The questions must be succinct and to the point. The questions should also address neighborhood specific issues. I would appreciate citizen’s questions that are serious and I look forward to finding the best questions to ask our candidates. One of your Firemen died last Friday. 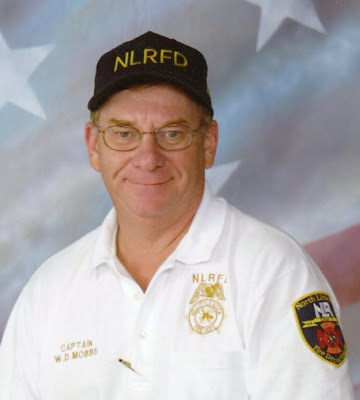 Cpt Warren Mobbs, who skippered Engine 7 on C Shift operating out of Station 7 in your neighborhood, died Friday afternoon after finishing up with yardwork at his home. It is believed that he suffered a sudden fatal heart attack. Cpt Mobbs will be sorely missed. We hope that all of the Lakewood folks will join us in mourning his passing. Funeral is 10:00 AM Tuesday. This is truly a sad day for the NLRFD, especially for the guys at Station 7. Come out and hear what is happening in your neighborhood -meet your neighbors! Due to unforeseen circumstances, a decision was made to postpone the Community Emergency Response Team classes until after the first of the year. We are still working on gathering the information, training materials and everything we will need to make this happen. Rick Ezell and Virginia Raum as well as Bud Gray as all so gracious and still willing to be our teachers. Applications are still available. We will be posting the new dates in the near future. LIM feels very strongly about this program and we will be pushing forward in hosting this event. Marilyn had bought Angel a special new outfit for the NNO dog show but she was unable to participate that night. She was given an honorable late entry category of "MOST LOVED." Angel hopes to continue her budding career in dog pageants in the future. We’re celebrating National Night Out, with an evening of neighborly fun (eat, walk, and talk!) for residents. Do you want to participate by hosting a “snack” to share with your neighbors? If you are interested please call 758-2738 for more information. We are having all food on the lower level in the driveways of several houses. Target will be sponsoring our event and we will have food, prizes and gifts to give away this year. Some of the Specialty Foods will include: Daisy’s Popcorn stand, Maxine’s Watermelon Wheel barrow, Betsy’s Best Brownies, Leann’s Pastry Shoppe, Dilday’s Home Made Ice cream, Sonja’s Crisp Cookies. More entries to be announced!!!!!! 6:45pm-The “Broadway Stars” will again come for a dance and musical presentation! Their studio is located at 8000 Hwy. 107, Sherwood Arkansas 72120. 7:30 pm -Our first ever LNG Dog Show will be held during this event. Please bring your leashed dog for the fun. And more! Prizes will be awarded. Our Police, Fireman, NLR City Government and Departments are invited. Pictures taken by John Jones at the July meeting. Becky will talk to us about the work done by Master Gardeners at the Old Mill. The Old Mill Project won the 2008 Master Gardener Project of the Year Award for the State of Arkansas. It will be an interesting and informative time to hear from and talk to an expert. Come out and hear what is happening in your neighborhood -meet your neighbors. Sorrells: There will be a Police and Fire Department competition in North Little Rock and Little Rock to see which one can give the most blood. This will be June 27th at the Hays Center. : This year marks the 75th anniversary of the Old Mill August 6th 1933 dedicated by the Pugh and Matthews families. It will probably be at 10:00 in the morning. More information will be released as we know more. $200,000 was spent from the city, grant monies, and donations. The lights have been installed. Tomorrow is a major work day starting at 7:00. White: National Night Out will be Tuesday August the 5th. Glenmere Rd will have their activities. Sorrells: Several houses were broken into last month in our area. Car break ins have increased. Lock everything up or put in storage. Do not leave lawnmowers and equipment out in yard. Shoplifting, Breaking and Enterings have also increased. Gas theft, you can purchase a $10 lock for gas cap. Singleton: History of the Old Mill was presented. Concerns brought up were increased traffic, speeding and litter around the Old Mill by residents. 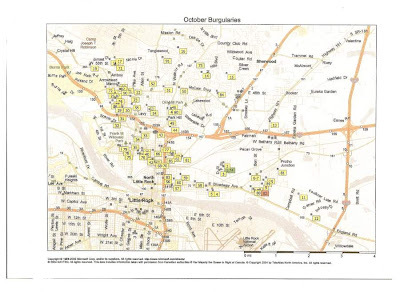 The ordinance regarding litter is narrowly defined by the city. There are 200 wedding a year scheduled through the city. There has been one divorce that is known. Next meeting will be Tuesday July 8th at the Old Mill. Please call the North Little Rock Code Department @ 791-8581 if you see an abandoned shopping cart on public property. The exact location will be needed for Code to pick up the cart. We need your help to keep the carts out of the city storm drains and clean up NLR. Companies will be charged a $25 fee to reclaim their property. This fee will cover the cost of removing and storing the carts. Beth White: There wasn’t a meeting in February; everyone was invited to the town-hall meeting in Levy. There will be more town-hall meetings and everyone is encouraged to attend. State Representative Barry Hyde will not be able to attend this evening but you may email him at hydeb@arkleg.state.ar.us if you have any questions. Debi Ross: 1) Shopping carts-there will be a meeting next week to finalize plans. 2) Parking cars in the front yard-Council will not be able to do a city wide law. It will have to be by areas. We may have a vote in each area to decide, the city attorneys are checking into legalities. Ward wide would probably not work. 3) Dumpsters-Council is looking at regulating hours they can be emptied due to complaints of noise at 4 in the morning. 4) City web site is up and running. Firefox works to view site. The search engine is working. 5) Hydroplant-We are above in the money brought in. 6) May 17th is the city wide cleanup, Keep North Little Rock Beautiful. We will probably meet at Burns Park this year. Sorrells: Burglaries in the area are on the increase. Police caught 3 people responsible for several break-ins. Daytime has the highest number of break-ins, when it is rainy and when people are away on vacation. Call 758-1234 if you see something suspicious or 911. If you see someone using a coat hanger or Jimmie to get in a car in a parking lot at the mall or shopping center, call the police. More than likely they are breaking in to the car. This is the time of year people will be going door to door asking to do yard work or paint your house number on the curb in front of your house. Be aware they may be casing the neighborhood. They have to have a permit placard on them. Call police to report anyone in your neighborhood soliciting without a permit. Beth White: North Little Rock Friends of Animals fund raiser (chili supper) was rescheduled to Friday, March 28, 2008 at 7 pm. Open Practice Day for the NCAA at Alltel will be Thursday March the 20th 1200 noon to 2:55 pm and 4:25 to 7:20 pm. This is a free event to watch the top teams practice. More info is available at http://www.arkansascitiessports.com/. The 18th Annual North Little Rock Woman’s Club Carousel Ball, will be April 5, 2008, at the Hays Center. Proceeds benefit the Heritage – Bowker – and Willow Houses, the Senior Center, and other community service projects. This year, the club will celebrate its 50th Anniversary in Community Service. $50 per person ($25 is tax deductible). Table reservations are required, RSVP by March 31, 2008 at 501-7537246 or 501-835-5019. Old Mill-The restroom facility is nearing completion. The inside work will be done when the outside doors are installed and can be locked. The Amphitheater will be completed in the phase. The handicapped accessible areas are completed. A grand opening will possibly be in May. Bert Turner has been the driving force behind the renovation of the Old Mill. A luminary event is in the planning stages for Christmas. Beth announced she will be running for Alderman of Ward One. Next meeting will be Tuesday April 15th at 6:30 pm at Lakewood Elementary. *This meeting is open to all NLR citizens and Levy is encouraging allneighborhoods to attend. We will not be having our regular LNG Meetingfor February 2008 but will instead attend the Town Hall Meeting. *Lakewood Neighborhood Residents are encouraged to attend this meeting-we will *not* be meeting in the Lakewood Elementary Cafeteria againuntil /March 11, 2008. /* This is a good opportunity for direct communication with citygovernment. I hope each of you will come to Levy for this night. Comewith your questions!! This is your city and everyone has to takeresponsibility to be informed. Beth White: Luminaries on Glenmere were a success. The city did a wonderful job cleaning the street and removing leaves. (State Rep.) There will be a change in the sales tax effective 1-1-2008 and in 2009 a change in sales tax laws, how they are enforced and areas they encompass. (1)-AR streamlined sales tax. There is a federal guideline to get sales tax similar in the 44 participating states. The 2007 law states that sales tax is to be collected at the point of delivery. (2)-$2500 cap on sales tax has been lifted; exceptions are cars, boats and airplanes. There is a group challenging this law. Internet sales tax may possibly be a reality within 3 years. Abandoned houses—A Land Bank allows for take over of properties for back taxes, rehabilitate and resell. Debi Ross: 1) Cross walks will be built and JFK and McCain and North Hills and McCain. 2) City web site is close to completion. 3) Fire on Waterside last night, house may be a total loss. 4) There is a need for stuffed animals for the police to carry in their cars to help with children. Please take donations to substation. 6) Run away shopping carts are an issue. In many cities it is against the law to take the cart off the lot. The city will pick them up and store them now. Stores can pick them up for a fee or city may sell for scrap. 7) The city budget is 130 pages. Debi has a copy for anyone who is interested in looking at it. Sorrells: There was an increase in break-ins at Christmas time. Remember to be vigilant, lock doors, and leave lights on front and back yards. Violent crimes are down. Please call 911 if you see any questionable person in your neighborhood. Beth White: Project Green at the school asking for ground cover. Loriope or monkey grass, mondo grass, Asiatic jasmine. The Neighborhood services newsletter can me mailed to you. Call 340-5394. A new group is forming Lakewood Northeast. They will have a meeting on January the 24th at the LPOA club house on lake #3 at 7-pm. This group was started due to issues in our neighborhood. Beth White: Our next meeting is Tuesday Feb. 12th.